Colonie, located in Albany County, New York, is the most populated suburb in Albany County, with a population of around 82,000. It is the location of several locations from the U.S. National Register of Historic Places and includes the popular Colonie Village in the south part of Colonie. Other features of Colonie include the Town of Colonie Veterans Memorial and the Watervliet Shaker Historic District. Ten years ago, Colonie ranked sixth in a crime study of the safest places to live across the United States. As a town that occupies just fewer than 60 square miles of land, you can easily get just about anywhere in Colonie whether on foot, on bicycle or by car. If you do have a car in Colonie, as is the case throughout Albany County, you need to have the right Colonie Car Insurance. You can start today for free just by contacting Capital Gate Insurance. Trying to find Colonie car insurance on your own could be difficult and may not get you the best rate, but Capital Gate Insurance has 25 different insurance brokers to contact so we can find the rate you deserve. Colonie is a great place if you're an outdoors enthusiast, with hundreds of acres of recreation areas like the Mohawk River Park and Pool, which spans an impressive 160 acres, the 130-acre Crossings Park, the Colonie Golf Course and over five miles of the Mohawk Hudson Bike/Hike trail. Before taking your ATV, motorcycle or boat out in the Colonie area, make sure you are properly insured. Your local Colonie insurance provider may not be able to give you a Colonie boat insurance quote, but Capital Gate Insurance can - plus offer great rates on ATV, snowmobile, RV and motorcycle insurance. With its lush parks, four public school districts, reputation for safety and comfortable suburban vibe, Colonie is the perfect place to put down roots. Many people live happy and peaceful lives in Colonie - especially once they make sure they have suitable Colonie life insurance and Colonie home insurance. Contact Capital Gate for a home insurance quote now, whether you own or plan to own a home in Colonie or if renting a Colonie apartment or home is in your plans. For more savings, request a Capital Gate Colonie life insurance quote as well. 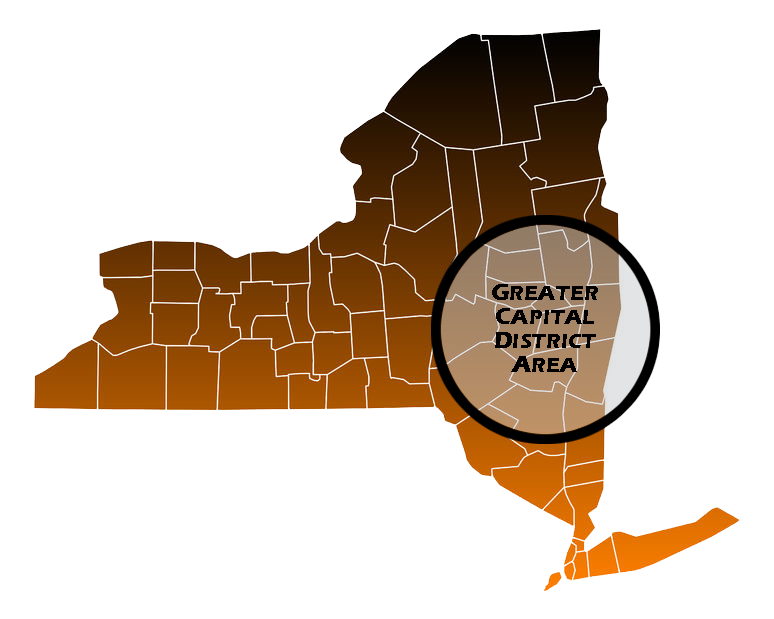 Due to its proximity to major economic centers in Albany County, like Albany and Schenectady, many Colonie residents work outside the town and commute to and from their Colonie homes. However, Colonie is also a place where the right businesses can truly thrive. If you have already, or are planning to, set up a business in Colonie, be sure to protect yourself with affordable and comprehensive Colonie commercial insurance. Capital Gate Insurance can find you great rates on Colonie business insurance to protect you from liability, cover workers' compensation, protect your commercial vehicles and more. Contact us for a free Colonie commercial insurance quote now.